In the last 12 months, I've made more than 130 videos! Even though once upon a time I was too terrified to even speak to someone on video chat. In this video (and in the edited highlights underneath it) I share the baby steps I took to get over my fear and how you can too. 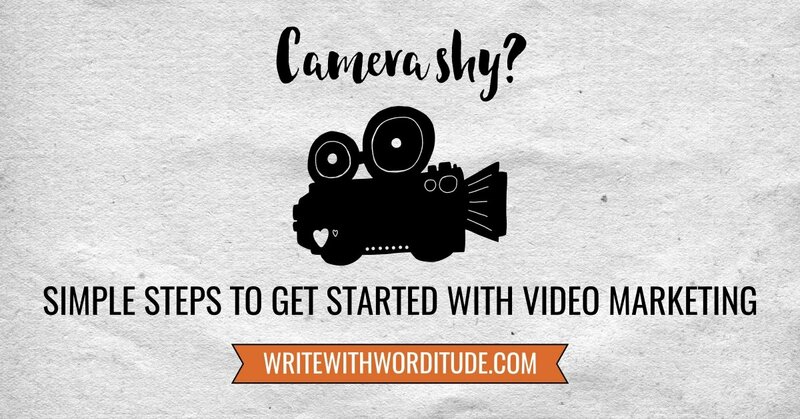 When I first launched Worditude Ltd, over 4 years ago, I was so terrified to get started with video. I couldn't even speak to people on Skype or on any kind of video chat when I first started working with this business. Some really kind people helped me get started by offering to speak to me on the telephone to build my confidence and then work my way up to video chat. If I can get over this then anybody can. My first priority was to use videos in my courses. This wasn't so hard because there were some things that I couldn't explain easily in writing and it was so much easier to record myself explaining it and use that video in the training material. It took me a few goes to create the videos and get over the desire to delete them or edit them to death. These videos were for an audience of people who already knew and liked me (the videos would only be available for paying Membership Guys to do a video chat interview with her. I've always had a bit of a business crush on her and I was excited to have an opportunity to talk to her. So I said ‘yes' before I had time for my brain to stop me. Don't make yourself promises that you're going to make videos - whether recorded or live on Facebook or YouTube. When you're only accountable to yourself, you'll come up with 101 reasons why you shouldn't do it. 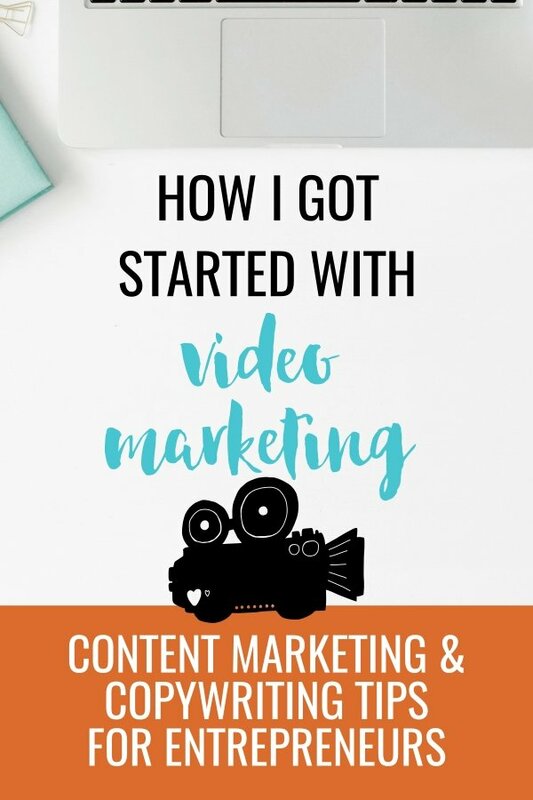 I would never have got started with making marketing videos if I hadn't said ‘yes' to somebody else. Fix the date with someone else, get it in the diary, and start psyching yourself up. Is this the easiest type of content to record? Now as you've fixed the date with someone else….you'd better include them in the video content. Ask them to interview you. Answering questions fired at you is so much easier than just talking to the camera on your own. Because you're trying to think of the best quality answer you can, you won't have time to think about anything else (like how you look or sound). Get someone to interview you about what you know, and once you start talking about what you're passionate about, you won't want to shut up. All of your nerves about being on video will just disappear because you'll be focused on delivering the best answer to the question that you can. Before your interview date, you need to check that everything works, and is set-up just the way you want it to be. ♦ Does your webcam work? ♦ Does your microphone record your voice clearly, without picking up on too much background noise? ♦ ….and be sure the lighting isn't glaring on the screen and uncomfortable for viewers. because you don't want to be distracted right before your video interview. ♦ Is the backdrop tidy, simple and professional-looking? You don't have to look like you're in a studio, but avoid stacks of laundry, or dirty crockery - not just because it doesn't look good, but also because that will distract you from giving the video your best effort. If you're using Facebook Live you can do a dry run by setting the audience to ‘Only Me', doing the video, and then watching it back. After you've been brave enough to create this video - use it! Squeeze every last bit of goodness out of it. It's tempting to just get it done, feel the wave of relief, and then try and forget about it. But then you've put yourself through the stress and nerves, and you're not really feeling the benefit of it because you're not putting it out there. Share the video on social media, and/or with your email list, pin it to Pinterest, upload it to LinkedIn - wherever you can promote it, do. If it's a Facebook Live you can download it, then you can embed it into a blog post, do some writing around it to give it a bit of context and add a bit of extra value. You will get in front of new people just using this video. You'll get great feedback on it and that will give you the encouragement and motivation you need to do more videos, more Facebook Lives or more video interviews. Don't let it go to waste. If you think your solitary single solo social share doesn't matter to me - think again. Every little share encourages me to create more free marketing articles, makes my heart warm and fuzzy, and helps more entrepreneurs to discover this resource. Thank you so much for reading this post, and your share will seriously help me (and other business-builders) out. It won't take more than 10 seconds of your time. The share buttons are right here. Need more help writing the words for your website, blog, social media, and marketing emails? Come and join me in the free Write With Worditude Facebook group & sign yourself up to my regular email newsletter. Get updates when I create new freebies, publish blog posts, update my courses, or have something mildly amusing to share, plus other informational, promotional and entertaining emails. If you let me into your inbox, I promise I'll treat it respectfully.